Introducing our new Wi-Fi / cellular enabled radios. and/or in cellular mode for extraordinary wide-area city, provincial, or national coverage. Wi-fi use needs an in-house system controller or can be used through a monthly fee remote service. Cellular coverage requires an appropriate cellular plan on a preferred carrier. There is also an android & iphone app option for added integration. Fully integrated dispatch software also available. 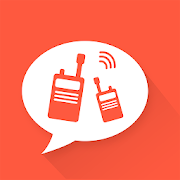 Includes dispatch control with individual calling, group calling, messaging, picture capture, call recording, and GPS tracking & mapping. Notes: Li-Ion battery in mA/Hrs, warranty in years. Looking for User Manuals? See our Links & Downloads page.